A Prezi Presentation Template with a modern wristwatch (smartwatch) wearable technology concept. 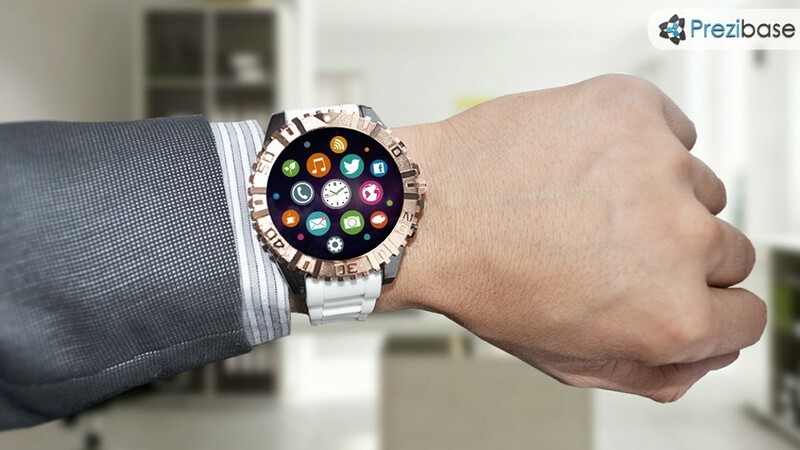 A clock face is filled with colorful app icons on a businessman hand and office background. Customizable: move the circles around and create your own clock layout. Add the icons you need, zoom anywhere and insert your own content or background. Create a technology related presentation about wearable tech, smartphone apps or digital revolution. This entry was posted in Best Prezi presentation templates and tagged android, android clock, app store, apple watch, apple watch presentation, applications, apps, business, businessman, clock, clock face, clock presentation, creative, digital, gear, office, play store, prezi templates, samsung gear, smart clock, smart technology, smartphone, smartwatch template, technology, template smart watch, time, watch, wearable tech, wearable technology, wristwatch.